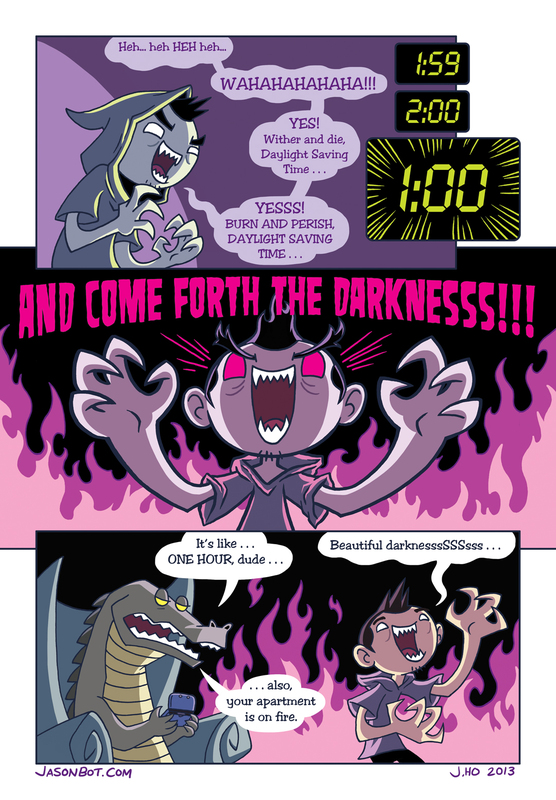 GO OUT AND ENJOY THAT EXTRA HOUR OF DARKNESS PEOPLE! TODAY WE ARE VICTORIOUS OVER THE ACCURSED SUN! I do that when I wake up and realise I’d had an extra hour of sleep!! !